River's Wish started with a focus on rabbits, and our rabbits are our most plentiful inhabitants. You can read an article about us in the Spokesman Review here. 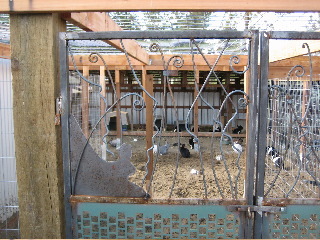 Pete built the 1,800 square foot building specifically for rescued rabbits in 1996. The 'barn' provides heat, air and plenty of light for the bunnies. See pictures here. No time to volunteer? Check out our Wish List for other ways you can help. ​Thinking about adopting a rabbit? We adopt rabbits to be indoor companions for the family and we follow the House Rabbit Society philosophy. Read all about it here. River's Wish responded to a call for help from Best Friend's Animal Society. 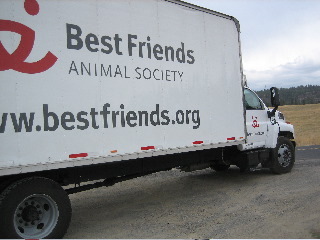 They had taken in more than 1,000 rabbits from a rescue situation in Reno and desperately needed to place the rabbits in secure, caring settings once they were spayed and neutered. River's Wish was selected to receive 50 rabbits and a grant from Best Friends and immediately set to work preparing their new home. 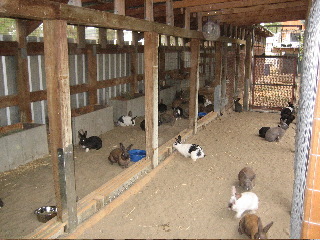 The Reno Rabbits now have happy lives where they have lots of freedom and are well cared for. Check out our rabbit slide show! The slide show below features current and former River's Wish rabbits who stayed with us. Many have found permanent and loving homes.